In a world that is run by technology, it’s hard to imagine how a business in a highly industrialized city like Philadelphia can survive without that aid of a well-equipped computer system. No matter the robustness, however, a computer system remains vulnerable to damage from various sources, which could lead to costly outages. 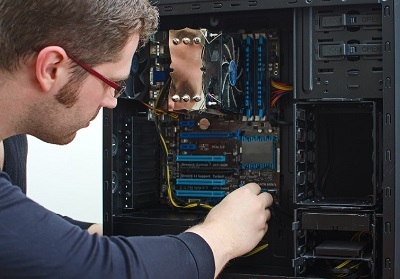 The secret to the efficiency and continuity of a business based on computer technology is to have computer repair experts available when you need them. You’ve probably been told many times that believing in yourself will help you succeed. While this is true in many cases, this does not apply when fixing a computer. Even your savviest employees will not stand a chance against the most complex of computer problems. Do not attempt to troubleshoot a computer issue if you know your knowledge of computer hardware is limited. You might end up losing all important files and software that comprise the backbone of all your operations.